You create things and people pledge money to support you (usually a monthly amount, starting as low as $1 depending on what options you specify). You provide special rewards to your patrons (copies of your work, sneak peeks at projects, behind-the-scenes info, etc). Patreon takes a small cut and you get money for doing what you love! This is a fantastic opportunity for creatives. It doesn’t matter if you’re doing art, film, podcasting, books, comics, or some other creative work. If people like what you’re doing and are willing to support your efforts, you can get paid. Some people are making thousands of dollars a month this way. Production + appreciation = Patrons. It’s really as simple as that, at the heart of it. I considered including “quality” in this formula, but when it comes to the arts this is a very subjective term. Watching shaky-cam behind-the-scenes footage of a favorite YouTuber could be great patron-fodder. Is it quality? Not really, but it’s priceless to a fan. The sketches and in-progress snapshots of a painting as it is created may not be considered a “quality” product, but it produces a wonderful bonding experience between the creator and patron. The quality items that you produce will be the same ones you’d produce if you weren’t on Patreon: A book release per year, a painting every three months, a weekly podcast. The point isn’t to add to your workload, but to give you a way to produce income in between new releases and sales of your work. If you are producing work on some regular basis, then it’s possible you could build a fan base of patrons. Because Patreon is a form of crowdfunding, you don’t have to ask a lot of any one person. Even $1 per month adds up if you have 100 (or 1000) people who like what you’re doing. All you need to do is offer something that is worth that $1 per month and give people a reason to stick around. You may be thinking only people who are really prolific or well-established could make a go with Patreon. It’s easy to think that only people who are already hugely successful will do well there, especially if you look at the Patreon home page and see all the big numbers. People with hundreds or thousands of patrons, making thousands of dollars per month. That’s what I thought at first. Sometimes it takes seeing a friend try something new before you are ready to jump in yourself. Her books are fantastic (she even published a book from the future!). Her web comic is adorable. Her enthusiasm for life, the universe and creativity is contagious. In 2015, Thea went on Patreon. And guess what? People started supporting her. Why is it working? Because we like what she’s doing, so we’re willing to part with $1 or $5 or $10 per month to help her keep doing it. People don’t just offer monthly Patreon options, but also project-based options. For example, the folks at Enigmatic Mirror Press are putting together an anthology and are using Patreon to fund it. What projects do you have in the works that people are excited about? Perhaps they’d like to pledge some money towards a copy of the finished product. There are a wide variety of creatives with many different ways to leverage this tool. Something important to consider about Patreon: this isn’t just about people calculating how much they’d pay if they bought all the books the author wrote and then deciding what level of patronage will get them all the books without paying as much (although sometimes that happens, too). It’s not just a financial transaction, or another way to pay for a product. You need to start looking at yourself, and your work, in new ways. When someone pays to stay connected to you (an artist or author), it draws them closer to you. They feel connected. If you do your Patreon communication well, they feel like part of your inner circle. In fact, if you think of your patrons as more than just “customers” and allow them to help shape what you create, you’ll form an even stronger connection. Some creators ask for opinions about potential book covers, ask patrons to vote on names for characters, or poll patrons about color schemes for paintings. When someone is participating, whether by offering an opinion or paying — even a little bit! — to keep you going, there’s a deeper sense of pride and accomplishment when you release a new piece of work. Because they helped make it happen. That’s the beauty and joy of patronage. There’s another important psychological aspect to consider. If you know that you have a quality product, but you’re struggling to find the motivation to keep at it in the midst of other life demands, Patreon can provide another vital benefit: Motivation to finish. When you know that you have patrons who are putting money towards your work every single month, you’ll want to have something to show them. You’ll want to make progress, so you can give them excerpts from the latest chapter or show them the latest sketches. Sometimes, we creatives need a little motivation. Sometimes we need a deadline. And knowing that there are people waiting and hoping for a little something every single month can provide the extra push that we need to make our creative work a priority. Patreon isn’t for everyone. And if you don’t know why people enjoy you and your work, you may be disappointed with the results. So think about it. Mull it over for a while. Ask your readers what they like about your stories. Ask your viewers why they watch your videos or listen to your podcast. Consider what kinds of rewards you could offer your patrons. 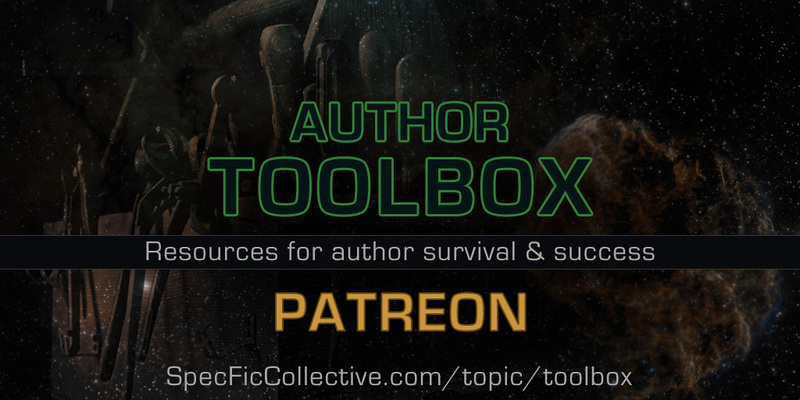 Drop a comment below and brainstorm aloud about your work, your WIPs and how you might use a tool like Patreon. Share your experience with Patreon! If you’ve used Patreon or support someone who does, drop a link in the comments below and tell us what you like about it. 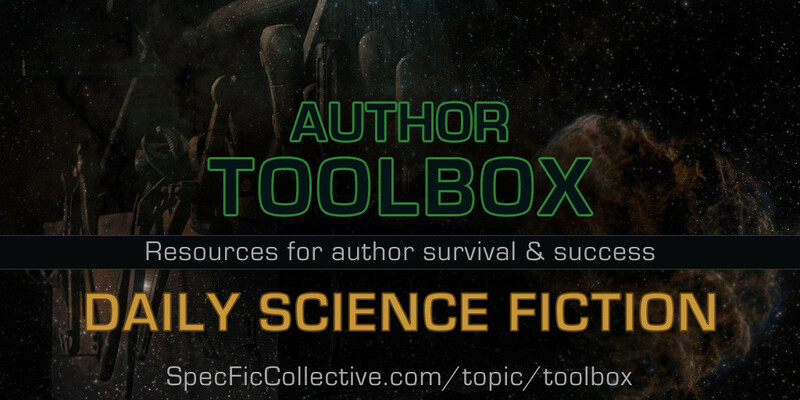 Fill up your Author Toolbox. These posts highlight helpful resources: blogs, software, books and people who have something to offer authors. This time, we’re looking at an alternative income stream: offering paid online classes sharing the knowledge you gained doing research for your novels. Meet David James Ault. 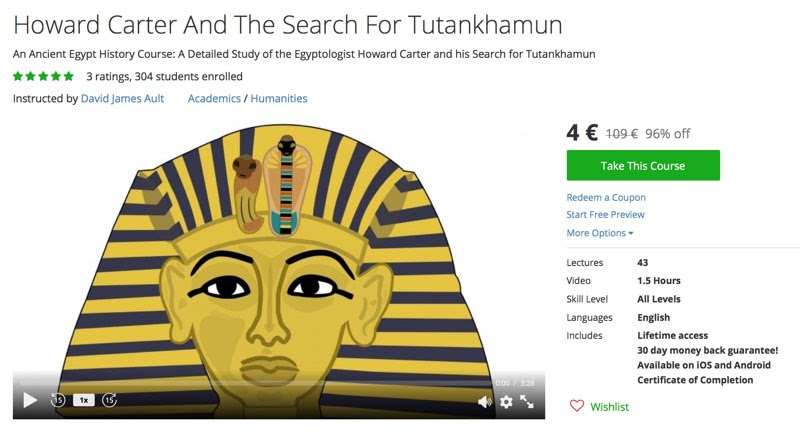 This British author took the info he gathered while researching a novel and turned it into an educational resource on Udemy, a site designed to “help anyone learn anything”. There are a number of companies and websites offering ways to publish an online class or course (see the links at the end of this post). The advantage of Udemy is that they do not charge you anything to host your class. They get their cut when someone buys the class. This means you don’t have to wrestle with adding e-commerce to your own website. You only have to figure out how to create the class files, and Udemy provides tools and help with that. What topics have you researched that might be useful to someone else? One of the big questions for authors today is how to “make a living” at writing. Which options you pursue depends a lot on your personality and skills. Some authors are gifted artists and make money with their art as well as their writing. Some are savvy marketers and focus their efforts on creative ways to draw in new readers. Packaging your knowledge as an online course is just another option to consider. One of the big benefits is that an online class at Udemy is a passive income stream. That means you create it once and then earn income whenever someone buys it without additional time or attention from you. If you think you could organize the research notes you have into something useful to others who might want to learn about a subject, you could make your research time do double duty as novel fodder and class content. Post a comment below and share a topic you spent time researching that might be of interest to others. 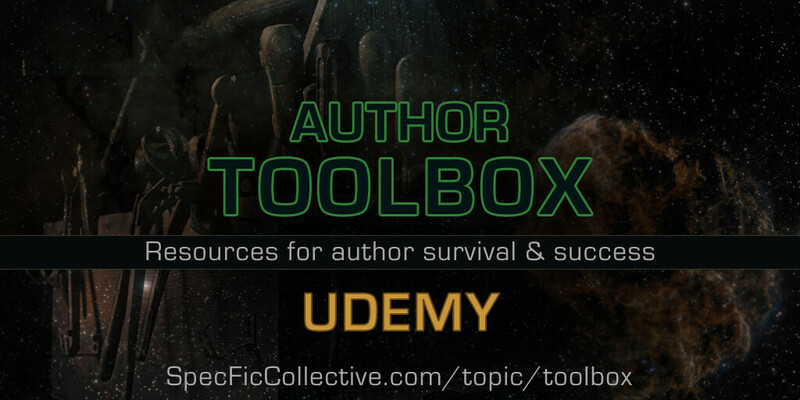 Fill up your Author Toolbox. These posts will highlight resources that we’ve found helpful. Blogs, software, books and people who have something to offer authors. This time, we spotlight a place to get your daily dose of science fiction — or to submit your short specfic stories. I’ve been subscribed to the free daily fiction emails from Daily Science Fiction for a while now. The stories are the right length for a quick read while waiting for something, taking a break from work, or to read aloud to friends or family (I’ve actually shared Ten Things You’ll Only Get if You Were a 50’s Kid twice in the last three days, reading it aloud to my sister and mother-in-law, and passing my phone to a friend to read for herself while we were hanging out). The story quality is generally excellent and the stories just plain fun. Or disturbing. Or a little sad. Or all of the above. Just as spec fic should be. Original Science Fiction and Fantasy every weekday. 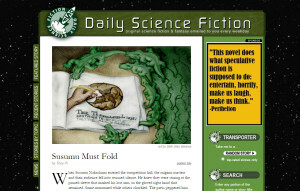 Welcome to Daily Science Fiction, an online magazine of science fiction short stories. We publish “science fiction” in the broad sense of the word: This includes sci-fi, fantasy, slipstream– whatever you’d likely find in the science fiction section of your local bookstore. Our stories are mostly short short fiction (flash fiction) each Monday through Thursday, hopefully the right length to read on a coffee break, over lunch, or as a bedtime tale. How does DSF apply to us? Authors need to be reading in their genre. DSF provides easy, bite-sized stories to inspire and jog our imaginations. You can read the stories on their website or subscribe to the daily emails. On the website you can search or browse by topic. Another fun element is that after reading, you can rate the story by “rocket dragons”. Don’t ask me why, that just tickles my spec fic bone. They also publish anthologies of each year’s short fiction. Authors need places to submit their work. DSF would be a great place to submit short stories or flash fiction. Authors need other authors of like mind. 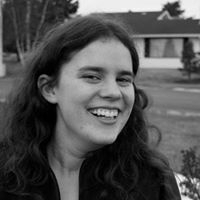 When I find a story that resonates with me, I track down the author from their bio on DSF (when possible) and connect with them on social media. Sometimes these relationships develop into friendships and the opportunity to encourage each other and/or promote each others’ work (collaborative marketing!). Sometimes, authors need places to advertise. DSF has a readership that loves speculative fiction and they offer ad spots on their website. Do you have a place you go for free online speculative fiction? Post it in the comments below! We are not just any authors. We are that rare breed, that maverick species called speculative fiction writers. Science fiction, horror, fantasy and many odd niches like space opera western, ninja engineer steampunk and post-apocalyptic amish vampires. In space. It is because we are strange, weird, peculiar, outlandish, unusual, bizarre and astonishing (yes, okay, fine, I used a thesaurus) that we may find it difficult to make friends. And find readers. There are some common watering holes. #StarWars and #StarTrek are a good start, but honestly those places are getting crowded with muggles. Cross-pollinate your search with Doctor Who and Firefly and you’re on track to finding some cool peeps (not kidding – check out this Pinterest board, fill your chore or commute time with podcasts on spec fic topics or audio fiction, find spec fic geeks to hang with in Texas, and discover wonderful ways to empty your pocketbook). But if you want to find the Mythcreants, you ought to include in your search Buffy the Vampire Slayer, Harry Potter, Discworld, and don’t forget to include comics and RPGs. What is “Mythcreants” and what’s it to do with us? First, let me introduce them to you in their own words. 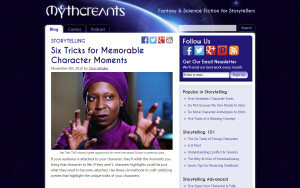 Mythcreants is a blog for speculative fiction storytellers. To better understand and tell the stories we love, we analyze popular stories and explore techniques in writing, roleplaying, and worldbuilding. We’re here to provide entertainment, insight, and inspiration. The site is powered by about a dozen hard-working volunteers. I have enjoyed their articles on writing and world-building and felt that their insights and online community are compatible with what we’re doing here at the #SpecFicCollective. As a Trekkie, I find their Star Trek articles both fun and insightful. 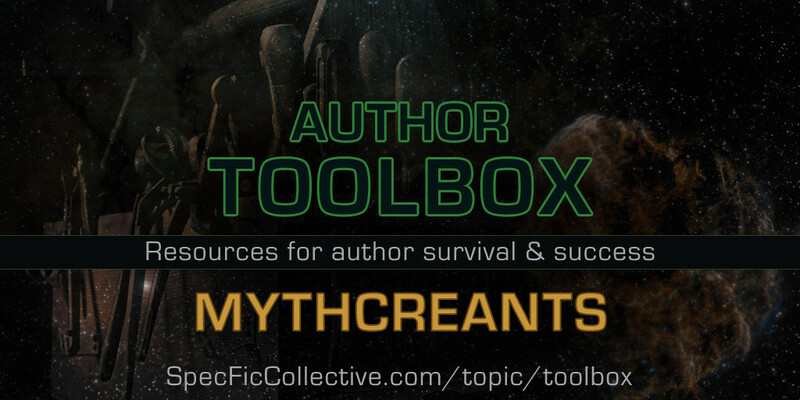 Most of all, I share Mythcreants with you because while there are many websites that teach the writing craft, there are fewer that discuss the finer points of speculative fiction world-building and storytelling. Also, one of the core strategies of the genre author in today’s market is connecting with others who might share a similar audience. Finding places where fans are talking about things you love is a great way to find others of like mind. Enjoy! And if you have any favorite places that you go to discuss speculative fiction, drop a comment below and share it! James Clear writes about behavioral psychology, habit formation, and performance improvement. 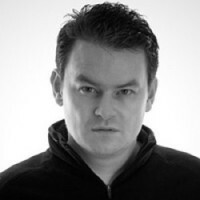 So why are we spotlighting him here on a blog about author marketing? Like so many things in life, success as an author is very much a head game. The battle takes place in the mind. First in our own, and then in the minds of our readers. Since a mind-control device for readers hasn’t been invented yet (Someday, my pretties! BwahahahahaHAHA! …er, ahem, excuse me… my inner megalomaniacologue slipped out), let’s stick to dealing with our own author brains. The list goes on. When we hear this sort of thing, it’s obvious that 1) a change is needed and 2) it’s not happening. The #SpecFicCollective mission is all about figuring out where we are, where we’re going and making the necessary adjustments to get there. So how do we make course adjustments in life? That’s exactly what James talks about on his blog. The standard disclaimers apply: If you have a different guru that you prefer to go to when you need to kick yourself into gear, please give them a shout out in the comments. There are so many great sources out there. But today, we’re talking about just one of them. First, a bit of context. I’ve read the books and/or taken the training for a half-dozen different approaches to time management, business planning, habit forming, etc. Stephen Covey, John Maxwell, Dale Carnegie, Peter Drucker and David Allen are good buddies of mine (no, not really, but it feels that way, with the number of times I’ve read their books). I’m familiar with how these things work. James is familiar with them, too, from what I can tell. But James puts things a little differently. 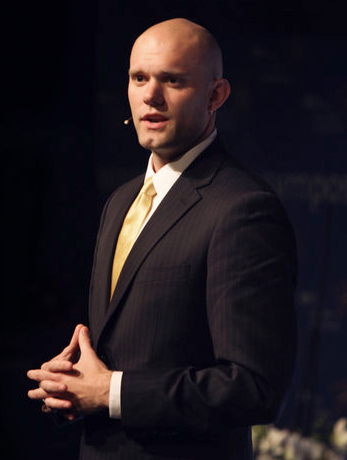 His outlook is a unique blend of fitness, psychology, and business. He draws examples from interesting people and fresh research. And one of the key concepts he promotes feels particularly relevant to me and this Collective of creatives: the concept of identity-based change. Instead of focusing on trying to change our actions or motivating ourselves based on what others think, he talks about changing how we think about ourselves. A change in how we look at ourselves brings long-lasting results, as we become what we envision. Better that you hear it in his words, though. Below is a list of articles that have made a huge difference in my approach to life, business and becoming the author (and person) I want to be. If you like listening to audio instead, here’s one that he did on the Unmistakable Creative podcast. 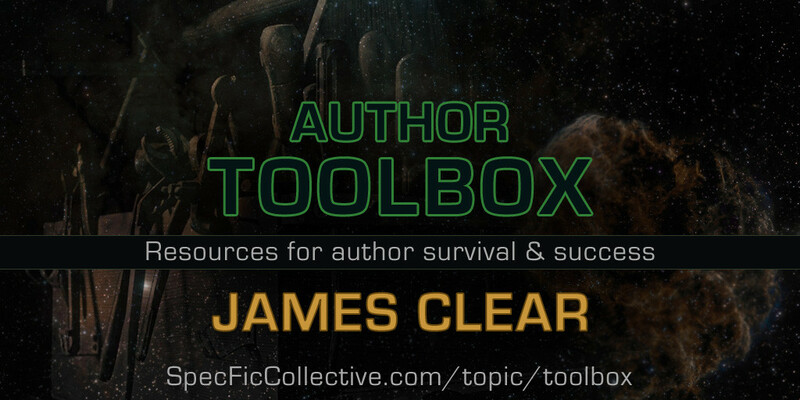 James also offers a handy list of his most popular articles on his blog’s main page. Once you have a chance to check out his work, I’d love to hear what you think. If there’s someone you find helpful in dealing with the mental aspect of the author journey, post a link to their work in the comments!